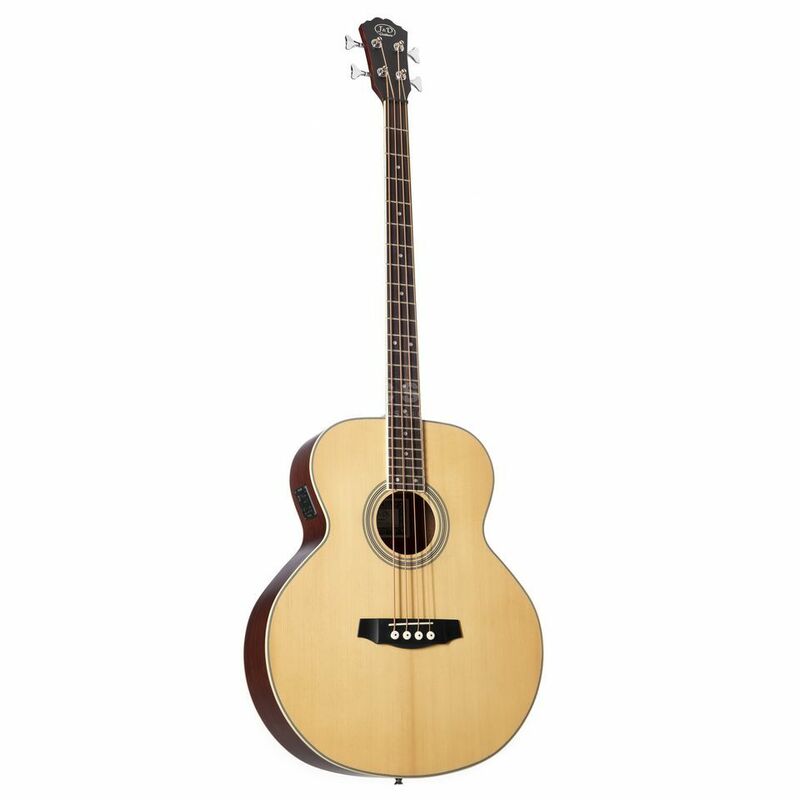 The J&D ABG-1 Electro-Acoustic Bass, Natural offers the player a remarkable vintage acoustic bass tone at a very affordable price. The ABG-1 has been constructed using mahogany back and sides with a spruce top and a maple neck layered with a rosewood fretboard. The J&D ABG-1 features a built in Fishman active PU system which gives the player more options in terms of tone adjustment when plugged into an amplifier. The bass is also equipped with high quality Die-cast machine heads and has a natural finish. The bass is amazing, it isnt very lowd but with an amp it sound perfect..... I was realy very happy with the speed of delivering and about all the informations about the shipping. I surely will buy very much thing in here.